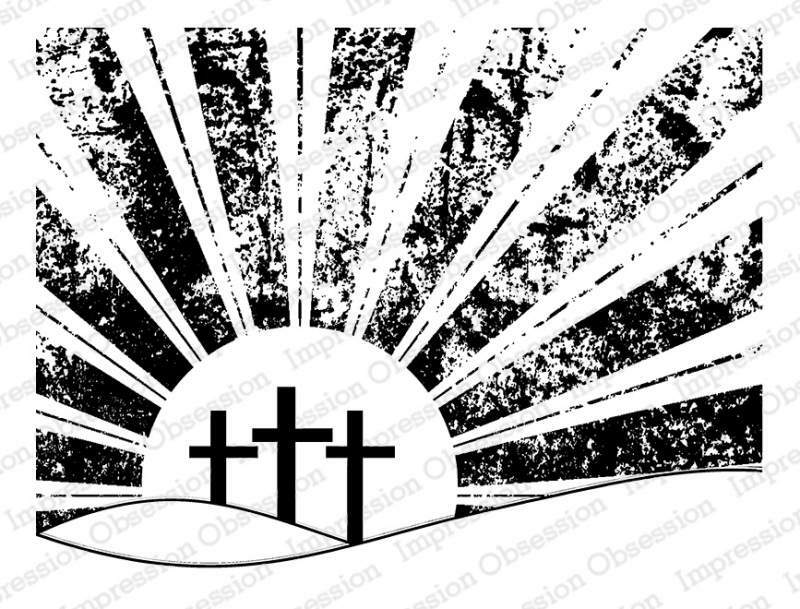 Hi, and welcome to Impression Obsession's Design Thursday! It's my turn to host and I have a technique video for you - I shared this technique over on Splitcoast yesterday, so if you missed it you can check out that tutorial here. The technique is really great for stamps with large solid areas like this one, and a stamp with a mostly black index like this might be a little intimidating... am I right? Here's a video showing how I created this card using a stamp positioner, a little water, and some watercolor powders. I have another post HERE featuring this same stamp with another idea for inking. It's a fun technique that I hope you'll try! I used a little diluted ink and a waterbrush to shade the hills and give the crosses some shadows - you can see that more clearly below. Beautiful and amazing Easter card. Love this technique, Dina. Thank you! Love this stamp and your technique. I have never used powders before. Gorgeous, that is such a neat way to add color! This is jaw-dropping, Dina! I love this technique, and your colors are so lively and vivid. Great stamp too! Holy potatoes, Dina! I'm in awe. This is absolutely the most incredible Easter card I've ever seen and you just handed me the moon with this awesome video. I can't wait to try this! Ty for sharing!! !